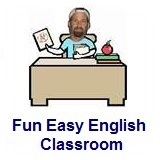 ﻿ Fun Easy English - new classroom free online classes english language lessons speaking listening writing reading september 22. Today in the classroom you are going to learn American English standard acronyms. Learn the American English standard acronyms, Internet cyber slang, chatspeak, netspeak, shorthand translexical phonological abbreviations, used in texting, instant messaging, and social networking websites. 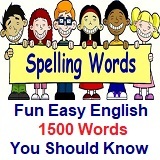 Many people use the same abbreviations in texting and instant messaging, and social networking websites like Facebook. FYI scientific evidence has shown Global Warming is a real problem.